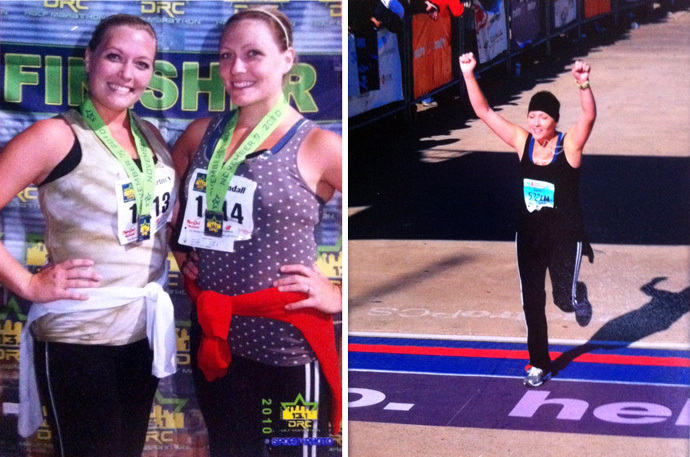 The photo on the left was from a little over a year ago when I ran my very first half-marathon. The photo on the right was from a little less than a year ago when I ran my very first full marathon (I was wearing a hat...it was really cold...don't judge). My sister and I trained for about 5 months for the full marathon. 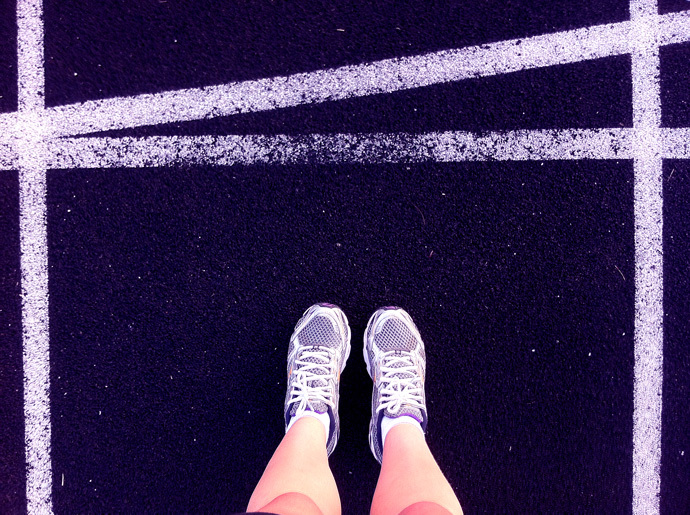 The last time I ran a mile before we started training was in high school...and I don't think I ran the entire time. I remember thinking that I would never make it to the finish line. 26.2 miles is intense. But hot damn, I totally did it! Greatest feeling ever. Flash forward 11 months to now. I can't remember that last time I went for a run. I have been feeling extremely sedentary, grumpy and uncharacteristically tired. So 103 days from now I'm going to run the Cowtown Half Marathon. 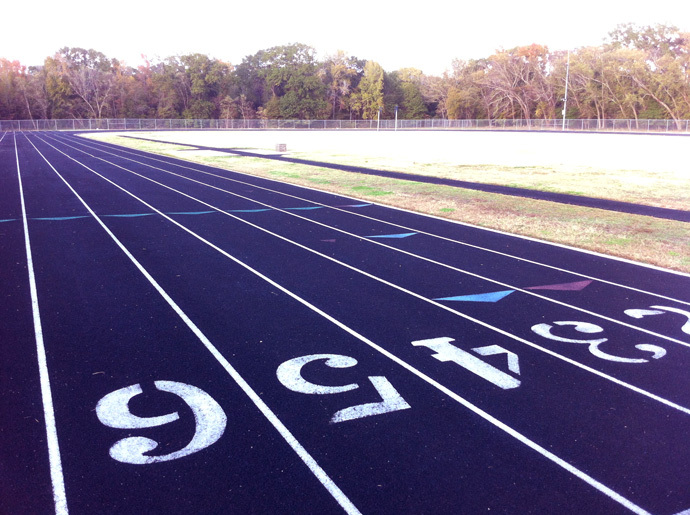 There are zero running trails, parks or safe roads to run on out here, so the high school track will have to do. Not the most ideal place to run, but it's free! I just ran the longest 3 miles of my life today, but it'll get easier. Holler at me if you want to run the Cowtown with me. 12 weeks is plenty of time for anyone to train for a half-marathon. DO IT!